All good things must come to an end….. Believe it or not, Windows 7 has been with us for ten years!!! It’s been a solid, stable and popular operating system. But it’s time for it to be retired. Mainstream support ended back in 2015 and the extended support will end in January when Microsoft declare it has reached “end of life”. Upgrading can be a daunting process, especially if you’re trying to do it alone. We know you have questions. We’ve got answers to the most common ones below. End of Life means that Microsoft will no longer release any security updates or patches. Any security flaws that hackers find will not be fixed. Even with security software installed, your computer will be vulnerable. What does this all mean to my business? If you still have Windows 7-powered computers at your office, you need to start making plans to replace them and budget accordingly. While those systems will continue to work after Windows 7 reaches end of life, you’re putting you and your business data at risk if you continue to use them. What about my business software? Windows 10 has been around for quite a while, and many main-line business apps have been running fine on it for quite a while (the new versions of all the various Microsoft, Adobe, Autodesk, and Intuit apps, for example, all work fine). But you should check with your crucial business application vendors to confirm compatibility as some specialized applications may need to be upgraded before you can commit. We’re happy to do that for you if you’re unsure of the questions to ask your vendors. What does QCS Group recommend? The upgrade path from Windows 7 to 10 was immeasurably easier than the move from XP to Windows 7. The Windows 10 platform seems to be just as stable as Windows 7. We don’t recommend just upgrading existing hardware to a new Operating System unless it’s a fairly new machine. The hardware should definitely be replaced. It may seem cheaper to just do a software upgrade but trying to get legacy infrastructure working properly with a new operating system can be problematic sometimes. Why not take advantage of the tax benefits before the end of June and implement some new machines? You’ll be pleasantly surprised at the speed and power of the new machines and the new generation of processors and hard drives. Starting afresh and just moving the data you need will be a more pleasant experience in the long run. Windows 10 (at the moment) will reach end-of-life 7 years from now (that could be pushed out further). 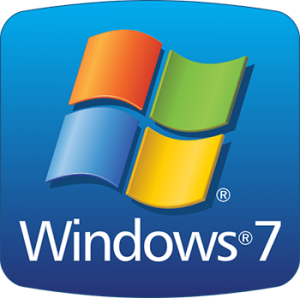 We recommend any new computer you buy is running Windows 10 and that you plan and budget this financial year to replace any existing Windows 7 machines within your environment. Click here to contact us today and we can assist with that budgeting process. Or just give us a quick call on 1300 858 723. Microsoft have more information here….